Your eyes will thank you for it: the food supplement Retaron, containing zinc and DHA helps to maintain normal vision. Changes in the eye occur predominantely with older age. Specific nutrients can strengthen the eye against environmental influences and the effects of ageing. 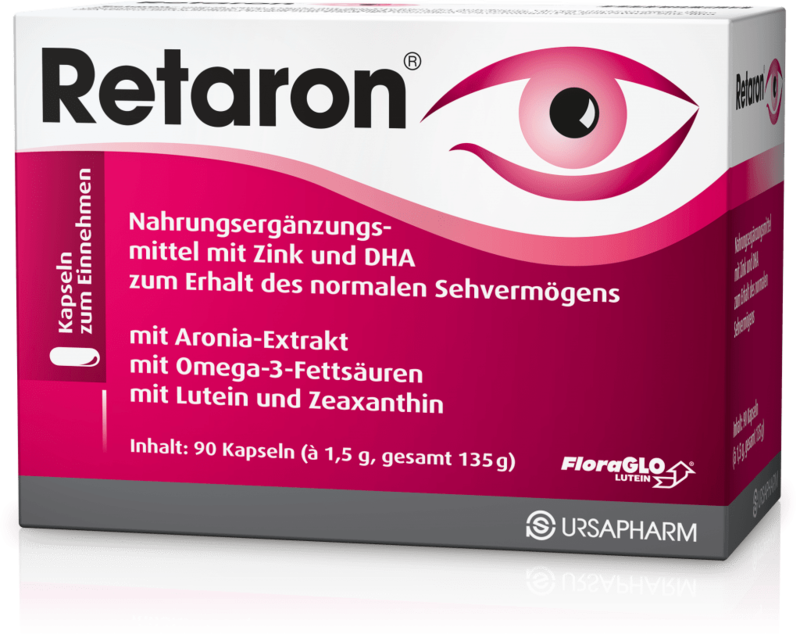 Retaron® contains an extract of the aronia berry (Aronia melanocarpa), the trace elements zinc and selenium as well as the important components of the macular pigment lutein and zeaxanthin,. Furthermore , vitamin C and E and the essential omega-3 fatty acids DHA and EPA are also present. Retaron® is taken only once a day. Zinc as well as omega-3 fatty acids contribute to the maintenance of normal eye sight.